Our humble beginnings at Stoney Creek began back in 1993 as a special kind of summer camp for a unique group of individuals. Three ordinary guys with an extraordinary vision saw a specific need within the lives of the average Christian. Drawn by an unquenchable thirst to fulfill the Great Commission, we used our positions as Youth Pastors to explore the idea of short and long-term missions. Our goal was simple–fulfill the call to reach out to the lost, provide basic needs to the orphans and widows and allow God to work through us to change the hearts of not only the people we worked with, but also to the people that serve with us. With God as our guide we were ready to be changed, meet new challenges, explore newfound abilities, strengths, and weaknesses. Driven by our desire to meet this need, we struck out with very little sleep…a lot of hard work….and the open road….yet, the Mexican Baja gave us much to learn! On our very first summer we set off on this noble quest with thirteen teenagers. The results of this experience were astounding. For seven days we worked in the transient work camps of the Mexican Baja. Overwhelmed by the great need and incredible response to the Gospel we grew together, depended on one another, and became a close-knit team. Our experience brought life to a whole new level. As we watched the change overtake our group, we changed too. 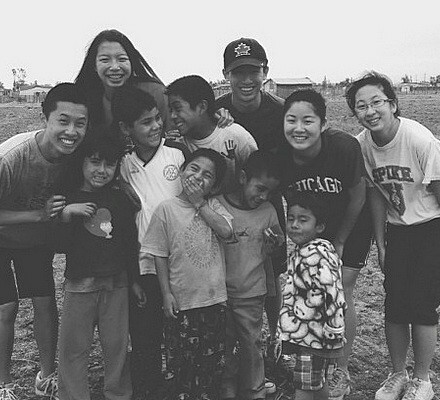 Truly, missions does as much for those who we serve as the teams that go. Without exception our team experienced its own struggles and growing pains. However, as teens encouraged each other, dealt with personal issues, and rose to meet new challenges we realized the potential of what we were discovering. Since that moment we haven’t looked back. Today, Stoney Creek has grown to meet the needs of all ages, year round in three countries…introducing teams, from all evangelical denominations, to reach the nations through Foreign Service. Stoney has spent thousands of hours in the mission field with fellow believers, many of which return year after year for a new challenge and different level of service. Mostly, the result is always the same…something more. Life is not about what you can get out of it, but what you can give away.